In its 2013 North American Social Recruiting Activity Report, Bullhorn Reach reports that just 22 percent of recruiters used Facebook for recruiting in 2012. Comparatively, Twitter was used by 27 percent of recruiters while LinkedIn dominated the social-media-recruitment landscape with a 97 percent usage rate. 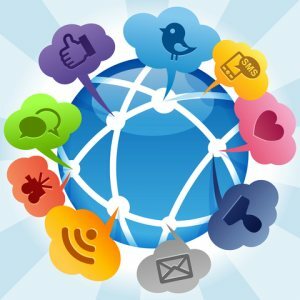 The study additionally showed that a meager 12 percent of recruiters were connected to all three major social networks in 2012. Not only was LinkedIn found to be the most active social recruitment network, but it also measured the highest number of recruiters with gigantic network sizes. Indeed, 15 percent of LinkedIn recruiters had network connections numbering between 1,000 and 2,000 during 2012. Contrastingly, half of all North American Twitter-based recruiters had fewer than 50 followers and over one-quarter of North American Facebook recruiters had fewer than 200 Facebook friends in 2012. LinkedIn also outpaced both Facebook and Twitter in job posts in 2012. Compared to Facebook, Twitter drove 4.3 times as many job views for each job posted on Facebook while LinkedIn drove 17.2 times more views. Thus, LinkedIn also drove 4 times more job views than Twitter. Though data did suggest that despite generating fewer average views, users who did view job posts on Facebook were more receptive to applying than Twitter users.